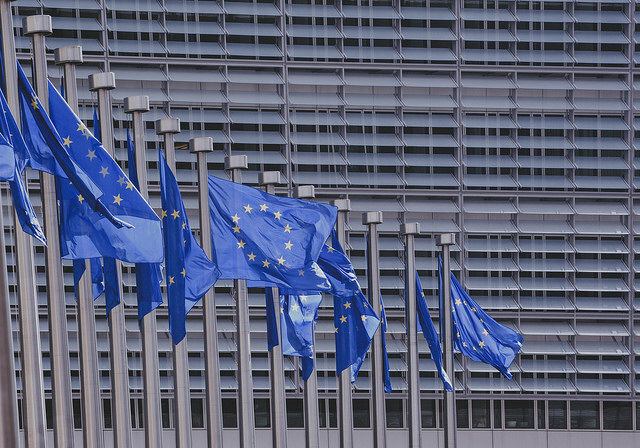 On May 24th the European Commission released its first legislative package under its Action Plan for Sustainable Finance, including proposals on a sustainable taxonomy and investor duties. The Commission aims to make the financial sector a powerful actor in fighting climate change and meeting the sustainable development goals by further aligning the industry with the Paris Agreement and the UN 2030 Agenda for Sustainable Development. UNEP FI commends the Commission for prioritizing these issues and achieving this important step to advance sustainable finance. In the coming months the European Parliament and Council will review the proposals before the final texts are agreed upon. If passed, change of this nature – simultaneously across the entire European investment chain – would constitute ground-breaking progress towards the transition to a sustainable financial system. UNEP FI welcomes these ambitious proposals. In seeking to define what constitutes an environmentally sustainable economic activity, the taxonomy establishes a list of criteria against six environmental objectives. The objectives and criteria focus on impacts, which are consistent with UNEP FI’s impact-based approach – the Principles for Positive Impact Finance. It is quite significant that article 13 sets out minimum safeguards on other sustainability issues, although currently limited to compliance with the ILO’s declaration on Fundamental Rights and Principles at Work. A holistic appraisal of impacts is not only key to avoiding wash, but also to managing the unintended consequences of investments with more than one impact on society and the environment. For over a decade, and more recently through the programme ‘Fiduciary Duty in the 21st Century’, UNEP FI has been advocating for a modern interpretation of fiduciary duty – one that includes the consideration of environmental, social, and governance (ESG) factors. The programme continues to engage the OECD, and investors and regulators in China, Brazil, and the US to align interpretations and help create positive duties on investors to integrate ESG issues. In addition to the proposals, the Commission has launched consultations, available until June 21st, seeking feedback on amendments to delegated acts under the Markets in Financial Instruments Directive (MiFID II) and the Insurance Distribution Directive to include ESG considerations into the advice that investment firms and insurance distributors offer to individual clients. UNEP FI members are highly encouraged to submit their comments via the consultations. UNEP FI will continue to interact with the European Commission and Parliament to support the implementation of this plan and will also try to enhance its breadth and depth, for example, bringing for consideration the Principles for Positive Impact Finance. For more information, contact UNEP FI Comms. A unified EU classification system (‘taxonomy’): The proposal sets harmonised criteria for determining whether an economic activity is environmentally-sustainable. Step by step, the commission will identify activities which qualify as ‘sustainable’, taking into account existing market practices and initiatives and drawing on the advice of a technical expert group that is currently being set up. This should provide economic actors and investors with clarity on which activities are considered sustainable so they take more informed decisions. It may serve as the basis for the future establishment of standards and labels for sustainable financial products, as announced in the Commission Action Plan on Sustainable Finance. Investors’ duties and disclosures: The proposed regulation will introduce consistency and clarity on how institutional investors, such as asset managers, insurance companies, pension funds, or investment advisors should integrate environmental, social and governance (ESG) factors in their investment decision-making process. Exact requirements will be further specified through delegated acts, which will be adopted by the commission at a later stage. In addition, those asset managers and institutional investors would have to demonstrate how their investments are aligned with ESG objectives and disclose how they comply with these duties. Low-carbon benchmarks: The proposed rules will create a new category of benchmarks, comprising the low-carbon benchmark or “decarbonised” version of standard indices and the positive-carbon impact benchmarks. This new market standard should reflect companies’ carbon footprint and give investors greater information on an investment portfolio’s carbon footprint. While the low-carbon benchmark would be based on a standard ‘decarbonising’ benchmark, the positive-carbon impact benchmark would allow an investment portfolio to be better aligned with the Paris Agreement objective of limiting global warming to below 2°C. Integrating sustainability into suitability tests: At the same time, the commission has also launched a consultation to assess how best to include ESG considerations into the advice that investment firms and insurance distributors offer to individual clients. The objective is to amend delegated acts under the Markets in Financial Instruments Directive (MiFID II) and the Insurance Distribution Directive. When assessing if an investment product meets their clients’ needs, firms should also consider the sustainability preferences of each client, according to the proposed rules. This should help a broader range of investors access sustainable investments. Find more information on the European Commission’s legislative proposals here. Explore Fiduciary Duty in the 21st Century here. Learn more about creating an impactful taxonomy here. Read background on the action plan here.